Welcome to Jimmy's V-Twins, Orange County's leading choice for expert Harley Davidson® Repairs, Service, Parts, and Accessories. Our full-service motorcycle repair shop provides Harley owners with exceptional work, personalized service, and highly affordable rates. Jimmy's V-Twins' owner and Harley Davidson mechanic, James Stoller, has over 30 years of experience in motorcycle and automotive repair. He's factory-trained by Harley Davidson as well as a Master BMW master automotive technician. 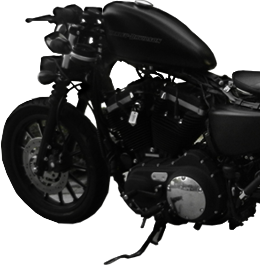 Having worked on thousands of Harleys, James has the extensive knowledge and skill and expertise to restore, repair, enhance, and upgrade any Harley motorcycle, and guarantee your complete satisfaction. At Jimmy's V-Twins, we understand the excitement, enjoyment and freedom that comes along with riding a motorcycle. 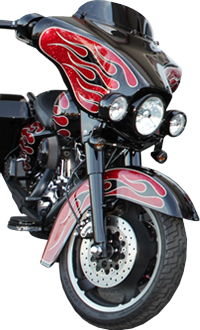 Additionally, we are concerned with the safety aspects for our clients and their motorcycles to be as safe as possible. We offer a courtesy inspection, in which we go from one end of the bike to the other to make sure everything is tight and secure and working properly. Whether your bike comes in for scheduled maintenance or a complete engine rebuild, we'll always perform factory-approved services, using OEM parts if requested with every service. Jimmy's V- Twins also in the event that you are in an accident, will help with your insurance claim process as fast and hassle-free as possible. With over a decade of providing high-quality motorcycle repairs with low customer complaints, we are approved to work with most insurance companies. Just make arrangements to have your bike dropped off; or we can pick it up for you with our courtesy pick-up and delivery service. We'll either arrange for a claim agent to come out and look at your bike or be asked by the insurance company to perform a complete inspection ourselves. Once your claim is approved, we'll work efficiently to get your bike back to you in impeccable condition, whether you need just a few parts replaced or require a complete frame off. Similarly, we are an approved motorcycle repair facility, and we also work with extended warranty companies to perform extended warranty repairs. In addition to service and repairs, Jimmy's V-Twins excels in Harley-Davidson motorcycle customizations. Come in and look in are many catalogs at hundreds of different handlebars, tires, wheels, paint colors, bags, back rests, exhaust systems, suspensions, stereo systems, and other accessories to personalize your bike. We can also perform engine upgrades to your motor. To help you achieve the exact look and feel that you are envisioning, we provide expert recommendations and one-on-one, friendly service, making it easy for our clients to really get involved in the process. Whether you need a pre-purchase inspection, an insurance estimate, scheduled maintenance, repairs, or customizations, call Jimmy's V-Twins today. We are licensed, bonded and insured, and we pride ourselves in offering superior workmanship with personalized customer service at a great price. At Jimmy's V-Twins, we stand behind the men and women who courageously serve our country. To show our immense gratitude, all military servicemen, police officers, and firemen receive a 10% discount off any of our services. Jimmy's v twins has been working on my bike for approx 7 yrs. His work is always clean and on time . . .